Great minds start little. 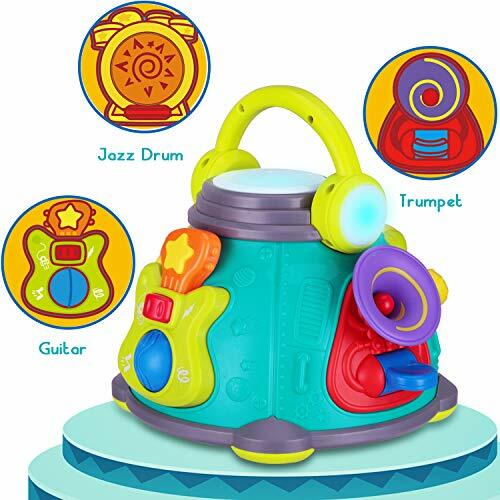 Little ones create their own symphony of melodies with iPlay, iLearn. ♫4 Instruments♫ Guitar, Trumpet, Jazz Drum, Bass Drum. 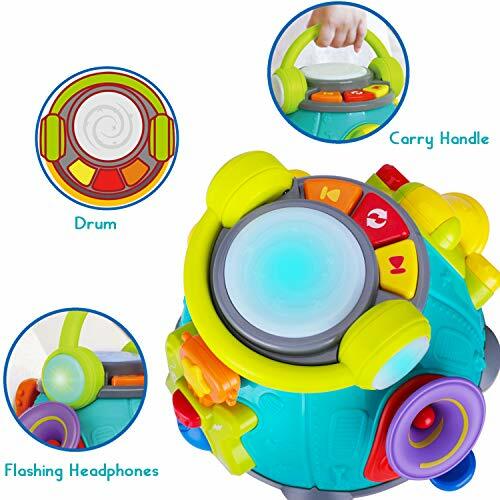 All instruments play soft and simulated rhythms that promote babies to interact and exercise their hands and fingers, helping develop their fine movement skills. ♫Great Design♫ Total 5 sides, each with a different function to encourage exploration. Independent power button and automatic sleep are built in with parents’ best interests in mind. Portable headset handle encourages active play on-the-go. Design is great for parties and indoor / outdoor activities! 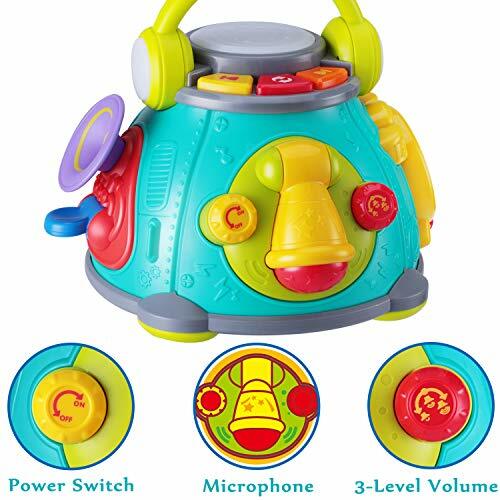 ♫3 Adjustable Volume Levels♫ Soft setting perfect for gentle baby ears. Adjust the volume accordingly to better experience different areas like bedrooms, preschools, kindergarten playrooms & anywhere else. 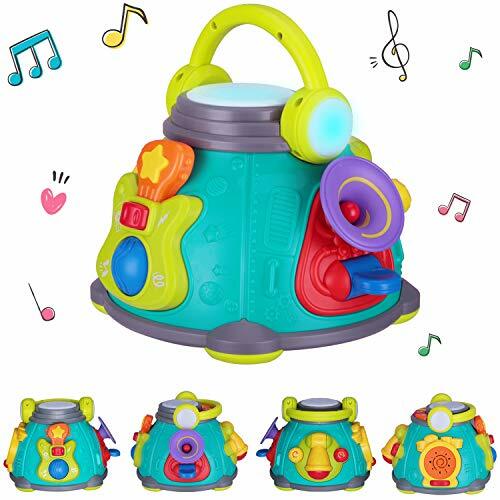 ♫Gift Idea♫ Multifunctional and cute design with wonderful lights and sounds. 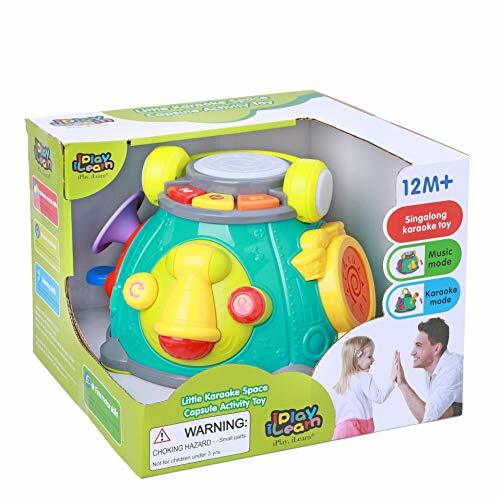 Best gift for kids’ Birthday Parties, Christmas, New Years, Halloween, Easter & many more happy moments!